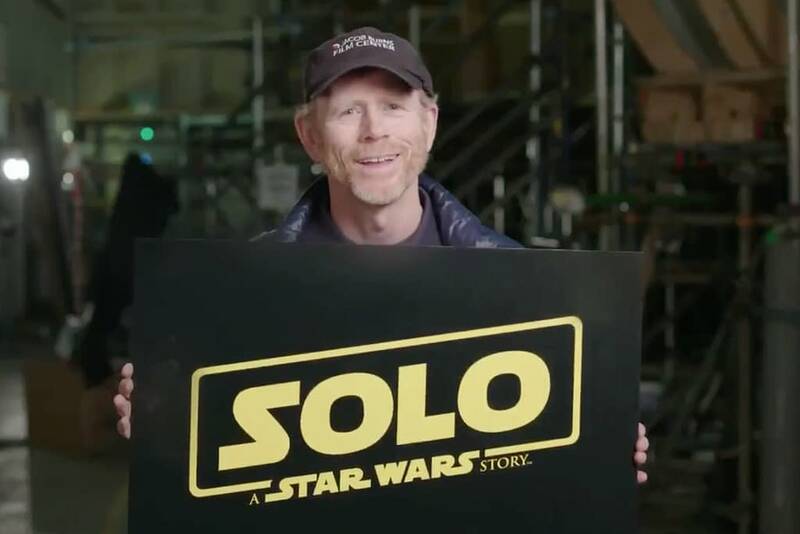 we have both characters new and old in Solo: A Star Wars Story and director Ron Howard has given us some hints as to what we can expect from them. In an interview with Fandango Howard was asked about the shot in the trailer where we see Chewie embracing another wookie. Fans have thought this could be the moment that a character from the Christmas Special, Chewie’s wife Malla, becomes canon on screen. I don’t want to be giving anything away or even quelling any debate because it’s all part of the fun. I would just say that front and center, the movie is largely about the relationships that helped shape this younger Han Solo. That speaks to all of the key relationships. Of course, we know how important the Han-Chewie relationship is. But it’s the other relationships in the film as well. It’s also the adventures, the action, which was exciting to direct. I think it’s really fun to watch and it’s inventive. It also all addresses the Han Solo character and tests him in particular ways. It’s part of the drama and part of the fun to sort of see how young Han Solo grows into who he’s going to be through this gauntlet of action and drama. When it comes to characters people are really looking forward to seeing Donald Glover as Lando Calrissian is right at the top of the list. Howard was asked about how this character is different from the one we meet in Empire Strikes Back and it comes down to young people who are still defining themselves. These are younger characters defining themselves. The other thing is that both of these characters … all of them, including Chewie … they all get more screen time, of course, in this movie than they’ve ever had before. It very much builds around learning more about them, sort of their … again, what would have formed them? What are some of the events and behaviors that would be similar? Where might it be a little bit different? One of the most mysterious characters is that of Qi’Ra, played by Emilia Clarke. Howard was asked about her and he was hesitant to give much away for fear of spoilers but did praise Clarke’s performance. Well, Emilia’s very talented and very charismatic and exudes strength and intelligence along with that beauty and charisma and humanity, as well; and it makes her a terrific, contemporary kind of female movie character within the galaxy. She, too, is one of these young individuals who is striving for freedom and trying to define herself in a time of real turmoil and oppression. She’s a very important character. She’s, again, very influential on Han. In the story, her character and the other characters, their storylines unfold in ways that are surprising and offer some terrific twists and turns. Now the question becomes whether or not they are going to fridge her for the sake of continuity or Han’s manpain since, apparently, being on the other side of the universe during the events of the other films is not an option.